Some things stay the same in every year's Holiday season: lots of money is spent on gifts and merriment, too much food is eaten, and a CG movie based around festive characters arrives in cinemas and theatres worldwide. One of these movies will be Rise of The Guardians from DreamWorks Animations, and we all know what that means — Rise of The Guardians: The Video Game. Notably, in the details sent to us Wii U has been named first and given star billing, while there's also confirmation of versions for Wii, 3DS, DS and the rival HD systems. It's set to be an action-adventure title with up to four players allowed in drop-in multiplayer, as you seek to level up and strengthen heroes such as North (Santa Claus), Tooth (the Tooth Fairy), Bunnymund (the Easter Bunny), Sandman, and Jack Frost. While not all movie tie-ins fare well, we should at least wait and see how this one turns out, and you can check out the press release below. D3Publisher (D3P), a publisher and developer of interactive entertainment software, today announced that it will bring the DreamWorks Animation SKG, Inc. (Nasdaq: DWA) animated film, Rise of the Guardians, to Nintendo’s Wii U™ system, Wii™ system, Nintendo 3DS™ hand-held system, Nintendo DS™ hand-held system, the Xbox 360® video game and entertainment system from Microsoft, and PlayStation®3 computer entertainment system. 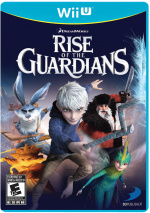 Rise of the Guardians: The Video Game will be available at retail on November 20, 2012 to coincide with the theatrical release of the film on November 21, 2012 in North America. Rise of the Guardians: The Video Game is under development by Torus Games and is currently rated “RP” (Rating Pending) by the ESRB. 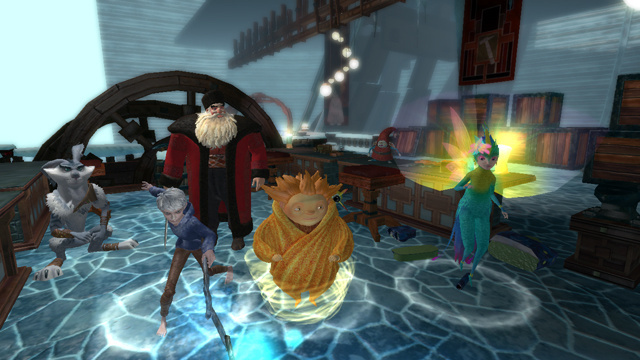 For more information on Rise of the Guardians: The Video Game, please visit www.d3publisher.us. I'm predicting a 4 out of 10, mostly for short plot and a wealthy amount of interface glitches. Incredibles: Rise of the Underminer, while being Pixar and not Dreamworks, was a really fun co-op drop in/ drop out game for a parent to play with a kid. We actually still play it occasionally on the PC and it's the main reason we own 2 PC gamepads. If it's like that game - and it looks and sounds similar - it will probably be better than the movie. Hadn't heard of this, sort of imagined it would be about owls. obviously not. I predict this will be the best Wii U game of 2012,and probably 2013,and 2014,for good measure. @A-Hungry-Banker @Jumbif ~ & I predict Phil will end up reviewing this. Poor Phil, he's the real Angry Nintendo Nerd(minus the theatrical swearing, & tantrum throwing which is good to not have ). Even if it's not him that does review this, I feel sorry for whoever of the NLife staff that does have to review this. I REALLY, REALLY HOPE that this game will be better than Spyro Adventure for the 3ds, and hopefully not as short too. Seems fun, but let's see as they bring us more videos and images.